The Bill Theisen Industrial Park offers excellent development opportunities to new and expanding companies in Athens County. Parcels vary from 3 to 23 acres, with natural gas, electric, water, wastewater and ethernet readily available at each site. The site is conveniently located 2 miles West of The Plains, Ohio and 3 miles from US Route 33. 5850 & 5840 Industrial Drive Listing Information (ADD LINK) – A former Powder Coatings Plant offers two adjoining metal, insulated, I-Beam constructed buildings totaling 46,782 sq. 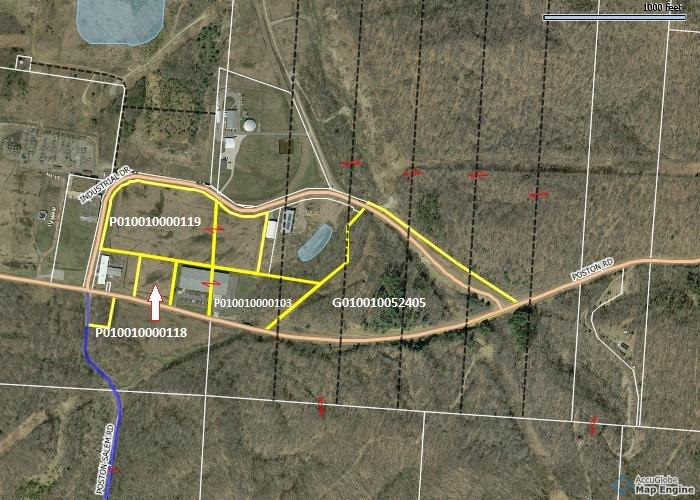 ft. on 4.88 acres currently for sale through local real estate company, Sole and Bloom. The available parcels at the Bill Theisen Industrial Park are owned by The Athens County Port Authority.